Marieux is a village and commune on the N.338 road from Albert to Doullens, a small town on the Amiens-St. Pol road. 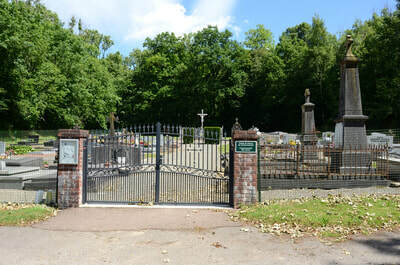 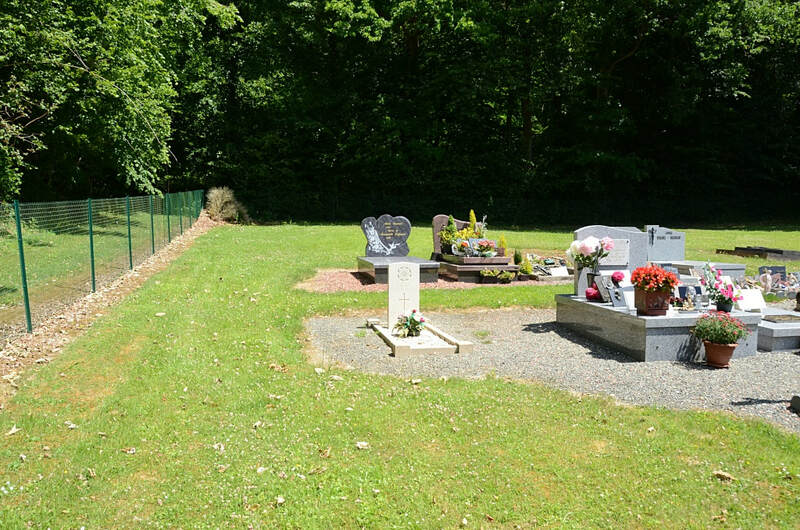 The communal cemetery is some 180 metres north of the N.338 road east of the point where it crosses the D.1 road to Thievres. There is a 1914-1918 War Memorial in the centre, and the British grave is about 15 metres north of this. 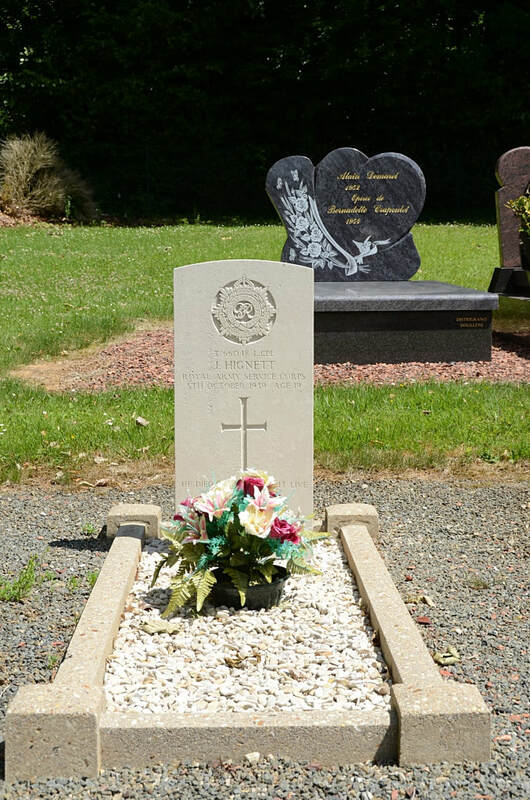 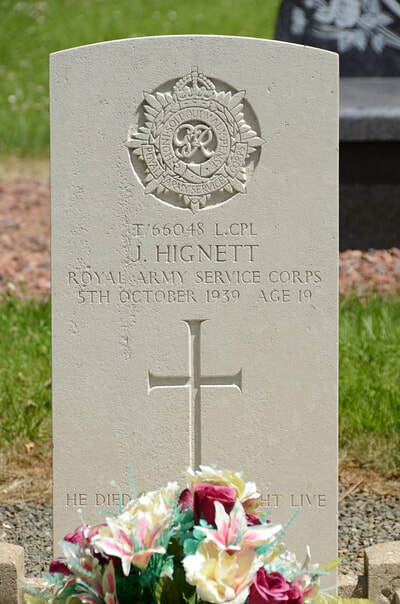 T/66048 Lance Corporal John Hignett, Royal Army Service Corps, died 5th October 1939, aged 19. Son of John and Elizabeth Hignett, of Halifax, Yorkshire.